Previous postConnie – 3 more award nominations & 4 US state premieres in just 9 days! Podcast appearance: Evolution of Horror – Zombies, episode 10 – available now! Selected for FrightFest New Blood 2018 & new micro-short ‘Shushpiria’ online! 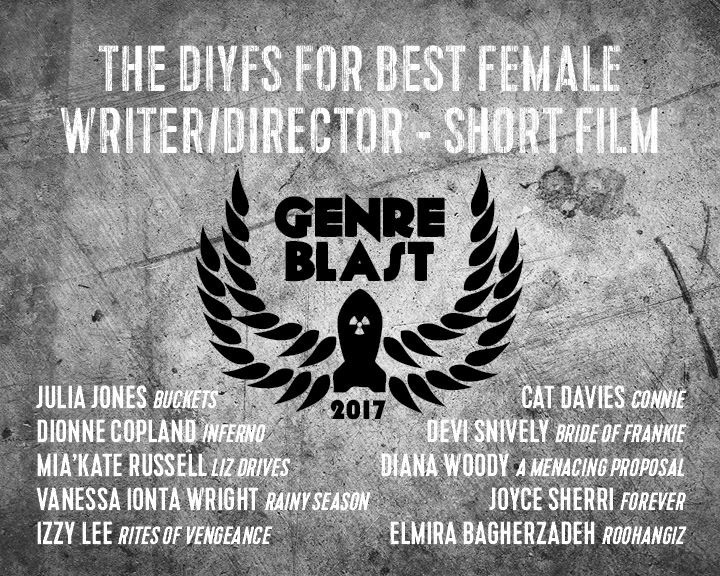 Blood Shed wins more awards, with more nominations just announced! Blood Shed selected for TWO Oscar festivals and wins more awards! Blood Shed wins big at Knoxville Horror and Sick Chick Flicks fests! Podcast appearance! Winner – Fresher Publishing Writing Prize 2017 for Creative Non-Fiction!